Guillermo Del Toro's 2008 sequel starring Ron Perlman is planned for 4K in May. 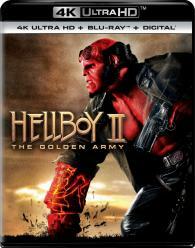 Universal is working on Hellboy II: The Golden Army for 4K Ultra HD Blu-ray on May 7. The fate of mankind hangs in the balance in Hellboy II: The Golden Army when a ruthless prince awakens an unstoppable army of creatures and wages war with the human world. 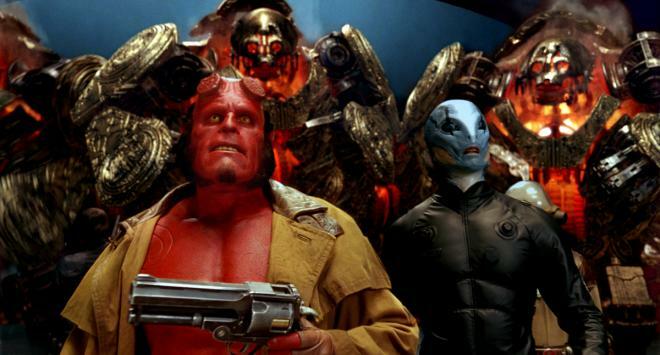 It's up to Hellboy (Ron Perlman) and his team of paranormal outcasts to face off with the forces of darkness in the ultimate battle of good versus evil! Prepare to be taken by the visionary director of The Shape of Water (Guillermo del Toro) into a fantastical world with imaginative creatures and thrilling fight sequences unlike anything you've ever seen before! You can find the latest specs for Hellboy II: The Golden Army - 4K Ultra HD Blu-ray linked from our 4K Blu-ray Release Schedule, where it is indexed under May 7.